If one of the purposes of teaching history is to help make the present more intelligible through indicating the process of development, and through tracing the antecedents of present-day conditions, then it is important that the story of the past be carried to the present day. 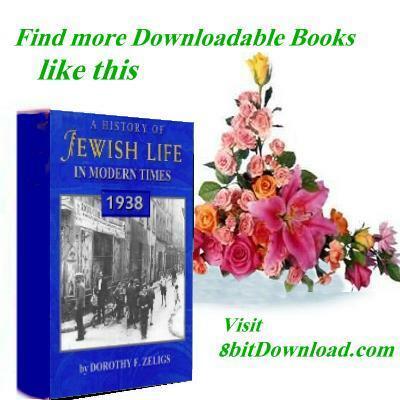 In presenting A History of Jewish Life in Modern Times, Miss Zeligs not only makes an important contribution to the teaching of Jewish history from the 16th century to the present day, but also validates the two preceding volumes in this series, A Child�s History of the Hebrew People and A Child�s History of Jewish Life. In this volume, as in the preceding, Miss Zeligs has successfully attempted to make history concrete and vivid through portraying, with proper historic background, child experience at a particular time and place. She has tried to relate the past to the present by focussing attention not on isolated incidents or personalities, but rather upon the historic process which accounts for the development of specific attitudes and conditions. For hundreds of years the Jew has had a share in world history. During those centuries, nations rose and fell. The Phoenicians, Egyptians, Babylonians, and Persians were his neighbors in the days of the Bible. Rome conquered the Jewish land but did not crush the Jewish spirit. These ancient nations no longer exist. The people who now inhabit the territories where those conquering rulers once lived are not the true descendants of the ancient people. This amazing ability of the Jew to remain alive during all these centuries, in spite of the difficulties and dangers which he has had to face, does indeed seem to be something of a miracle.